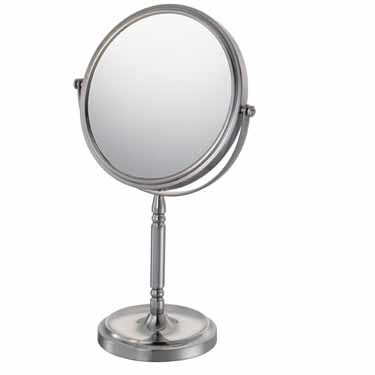 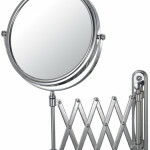 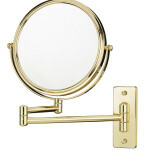 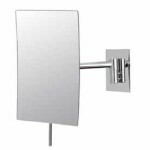 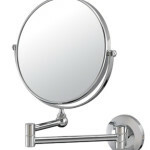 This smart little 2-tone freestanding mirror adds just the right touch to any vanity. 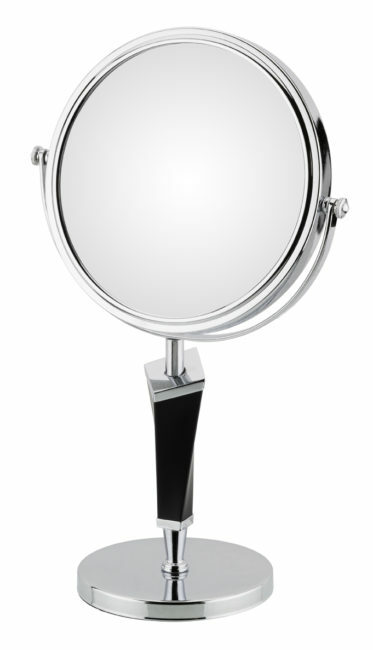 Two-sided with 5X and 1X magnification, it has a generous 6.7” diameter viewing area and stands 13.25” high. Finish is Chrome with Black post.